There’s all this bright, shiny, silent, scary, dry stuff outside everywhere and it’s creeping me out. Apparently it’s supposed to be there all afternoon. Some of it got inside the living room where it stains the floor mimicking the window and is warm to the touch, as if alive. The wife tells me it’s been creeping slowly across the room. This is like the lamest Outer Limits ever. Sitting in my cubicle, a guy hands me a CD-R. This contains the credit card data and personal profiles of a hundred thousand customers, he says. Social security numbers and credit scores. I took it and asked what I should do with it. Destroy it, he said. I looked at the disc. Nothing special. Just a CD-R. Who knows how much it was worth. A few pennies brand new. Now, used, somebody in Russia might offer what, a hundred thousand dollars? More? This wasn’t the first time I’ve held that kind of money on my hands. You’d be astonished at how many CD-Rs there are out there full of names and personal information and credit card data and social security numbers. Thousands and thousands and thousands of them. You’ll find them in drawers, in file cabinets, on shelves, atop people’s desks. A lot of loose data lying about. Data, this kind of data, is money. Money is power. I stared at the disc in my hand and imagined that data. Imagined a hundred thousand people. It was almost science fiction, all that information, all those people’s lives on one nothing little disc. It had been science fiction just a decade before. It could have been the plot of a novel. 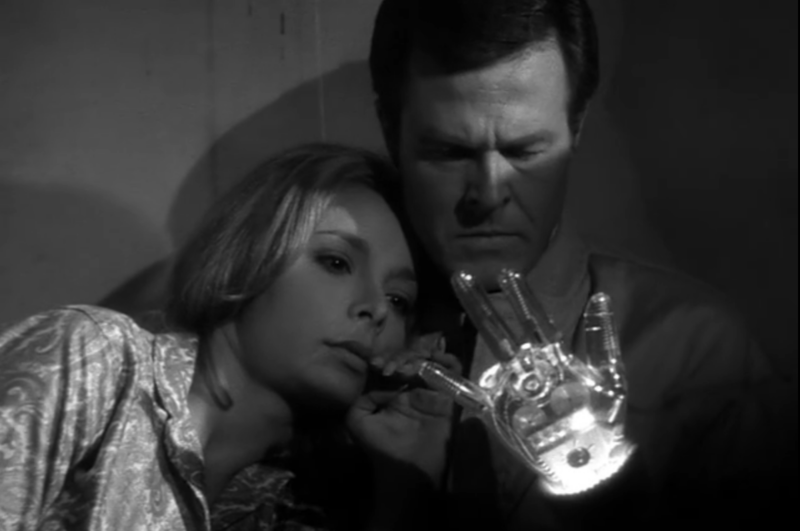 Robert Culp’s glass hand in an old Outer Limits. The whole of the thirteenth century Ralph Richardson lost in Rollerball. All that data that science fiction writers imagined could be kept in one tiny little space. And here it was, in my hand. I held the disc over the waste basket and began bending it. Kept bending it. If you ever tried this you’ll know just how much tensile strength a compact disc has. It arches to a degree you would not think possible. Suddenly it snapped in half with surprising violence, a loud crack and a puff of silvery dust. The dust settled on my slacks and shirt and hands. I let the two halves of the discs fall into the trash…an empty Starbucks cup, some wadded up paper and a hundred thousand potential victims. I walked over to the sink to rinse my hands and a dusting of data, all ones and zeros, went down the drain. Demon With the Glass Hand…that’s a lot of data.